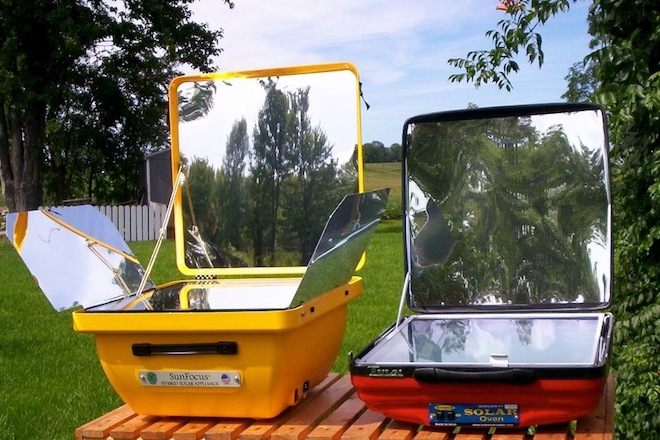 Solar powered inventions are both practical and pretty cool! Some of the solar devices people have come up with are astoundingly clever. I’ve rounded up some of the coolest solar power stuff I could find for you to feast your eyes on. Here’s a list of solar inventions that make our daily lives as easy as a Sunday morning! You’ll love these cool solar powered inventions! Some of them are awesome and helpful in the field, others are purely decorative, and some are still in development. They’re all simply genius. My favorite is this umbrella (#19), and the cool bricks for your walkway (#35)! Check out the full UPDATED list of 61 solar powered inventions to find your favorites. Save on electricity with this cool DIY chandelier. This invention is one great way to light up your backyard. 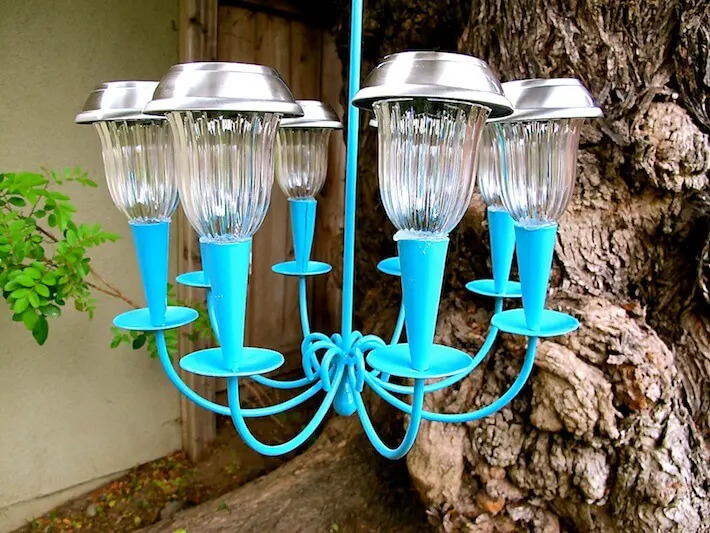 Here’s a step by step instruction to make a solar light chandelier! If your desk is by the window, this keyboard will be perfect for you. Learn about this wireless solar keyboard and its awesome features here! Going to the beach? Bring this tote bag along and you won’t have to worry about a power bank. Your phones and other electronic devices are always juiced up —thanks to this brilliant creation! Plant pots that are great for lighting a path at night. Dual-purpose plant pots like these are great additions to your garden. Just the thing we need for summer. Beat the heat and let the cool breeze flow with the help of this solar powered fan! Keep that camera charged longer! You don’t have to worry about your camera running of juice even if you forgot to bring an extra battery. Find out more about this product here! Forget the batteries, all you need is the sun. As long as the sun is shining, this watch will never run out of time! Solar and wireless. I’m sure you’ll agree those are two great things to look for in a video security light. No fire, no electricity necessary. All you need is solar energy and you’ll have hot water when you deem fit. Make this yourself here. Stick this wireless security cam in your window and see how it goes. You can easily catch a home intruder without using electric devices. Harness the power of the sun while you grill your favorite food. This solar powered grill will change the way you grill forever. This awesome invention will not only add aesthetics to your home but it will also give you electricity when you need it the most. This motorized lounge chair is equipped with entertainment features that make it the most relaxing solar-powered invention on this list. Read more about it here. A bike with three modes: muscle, electricity and of course, solar power. Isn’t it ironic? The sun is keeping the ice cream from melting. This ingenious solar powered ice cream vending machine will keep your frozen treats chilled without giving off CFCs! This solar LED lantern is perfect whenever you’re outdoors. You don’t need electricity to illuminate even the darkest night in the woods. Buy it here. Help your guests find your crib with these solar-powered house numbers. 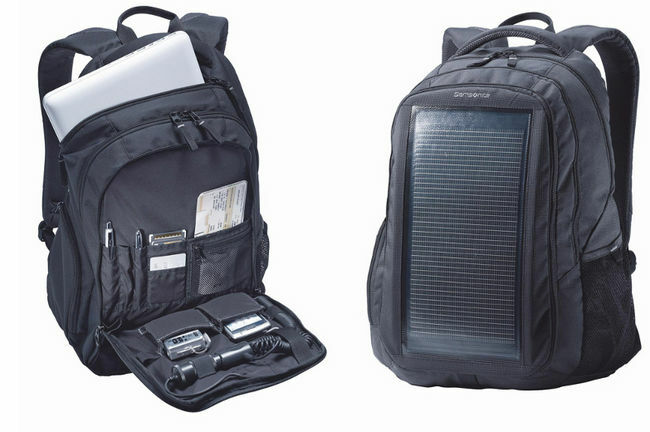 Bring this backpack to your next camping trip and for sure your laptop will never run out of juice! What better place to put solar panels than sunshades right? With these solar powered sunshades, you can do your tasks even outside the office premises. Power your home with this generator. An ideal and eco-friendly alternative to traditional gas-powered generators. So say goodbye to fumes and irritating noises, this solar-powered generator is great for indoor use. Great for anyone who loves swimming in warmer waters and don’t want to mess with a tarp. Buy some here. This awesome invention is perfect for man’s best friend. 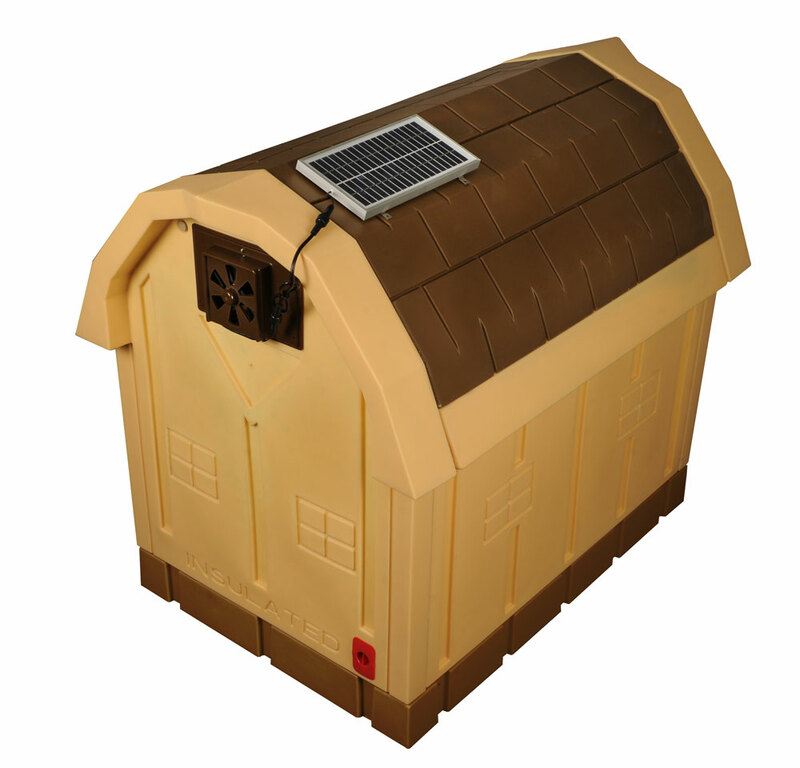 This solar-powered dog house has exhaust fans to provide your pet proper ventilation. Give your kids’ room ambient lighting during their bedtime. Find out more about this solar-powered night lamp here! It is difficult to walk up the stairs at night. Keep your staircase safe with these wedge lights. You can make your own version! They’ll look great on your porch in the summer. Tutorial here. 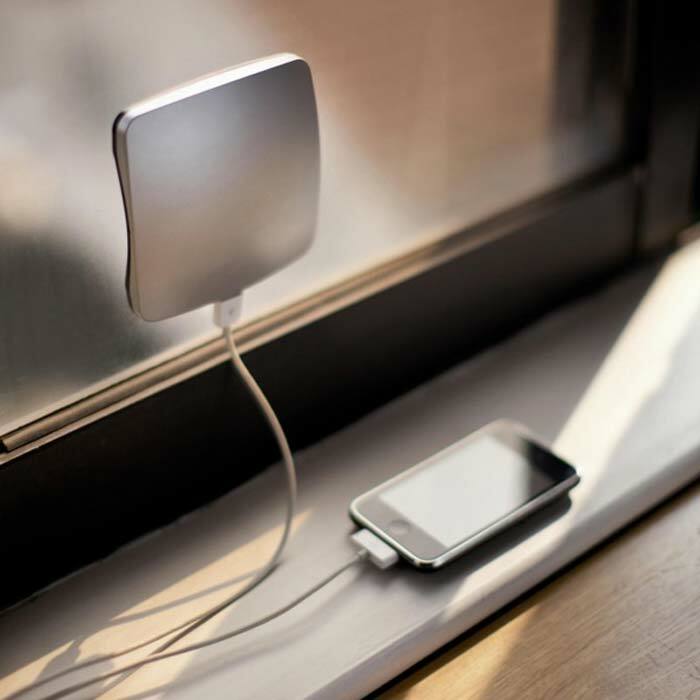 Solar-powered window socket is one of the coolest inventions ever. This portable device allows you to use electricity in a place where it is restricted to use such as a car, plane, or when you are outdoors. These window blinds are genius. They store solar energy during daytime and shine by night. These solar powered tiles will not only give your home a distinguished aesthetic, but also it can generate 850-kilowatt hours per 100 square feet. So cool. Make it HERE! This solar-powered USB gadget charger is indeed useful whenever you’re outdoors. It is also easy to carry anywhere because it fits an Altoids tin. Find out how to make your own portable charger here. 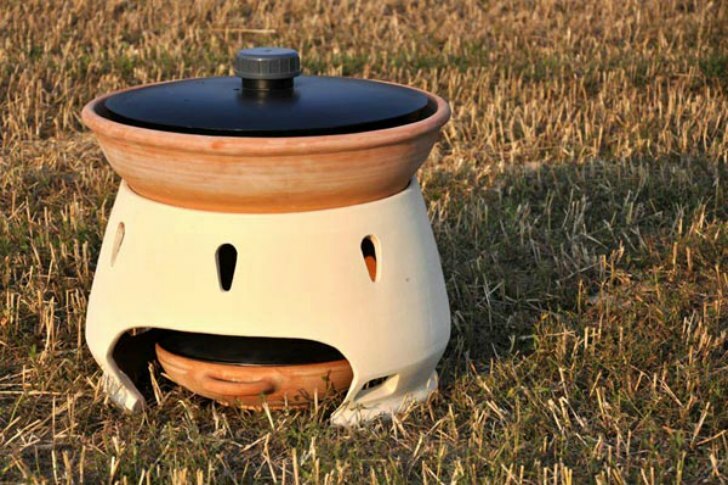 This solar-powered water distiller can be made using simple materials. It can purify about 5 liters of water a day. Another awesome invention great for camping or living off the grid. See it here. You’ll never have to worry about low battery when lounging and relaxing outside. Get it here. Now your phone will always be juiced up with this solar powered phone charger. It’s compact and handy, just what you need for your phone. Read more about it here. 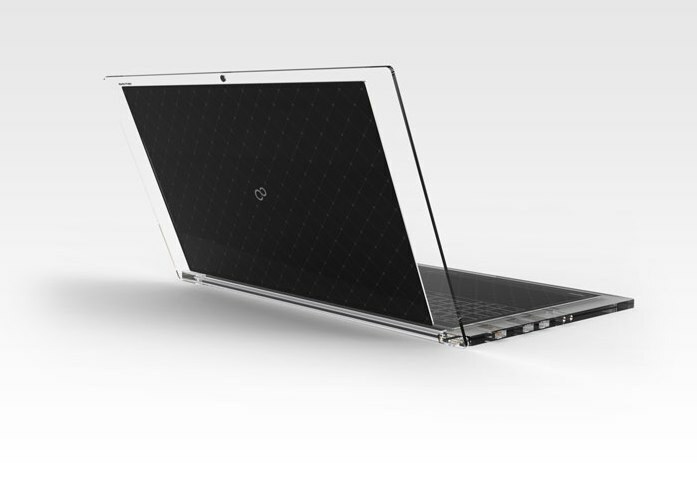 Why get a solar-powered gadget when you can get a solar window? 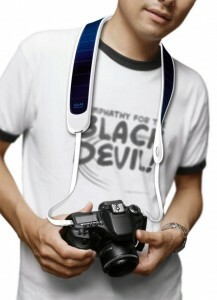 This amazing invention harness solar energy and give power to your gadgets and other appliances. For those iPhone lovers out there, you need this. Keep your phone charged whenever and wherever you are. Check it out here. Your walkway will be an instant attraction during the evening. 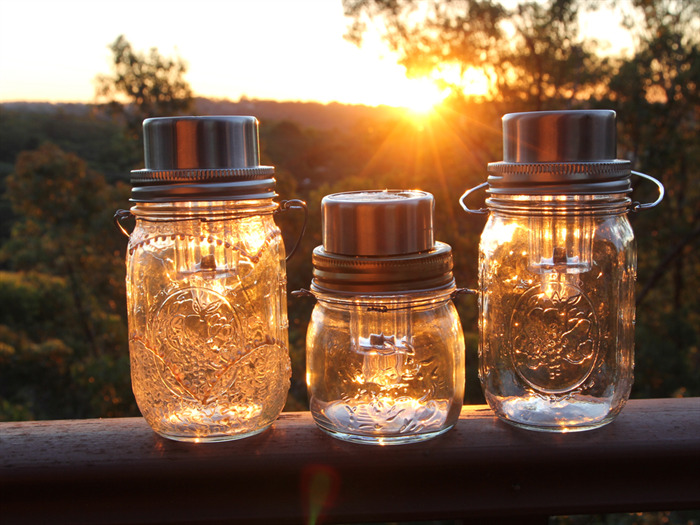 You can purchase this beautiful solar-powered invention here! Turn all that sun into energy you can use. You can use and charge your electronic devices whenever you are outdoors. If you are looking for stunning lighting fixtures, then these solar-powered balls will be a great addition to the aesthetics of your home. Planning your next camping trip? You might want to include a solar-powered tent so can still enjoy your electronic devices even when you are outdoors. Hot showers outside are now a possibility with this solar heated shower. Other than that, this ingenious invention will give your backyards or poolside an awesome feature. Electricity bills are on a constant rise. You can cut your electricity costs with this solar powered water pump. This invention is definitely eye-catching. 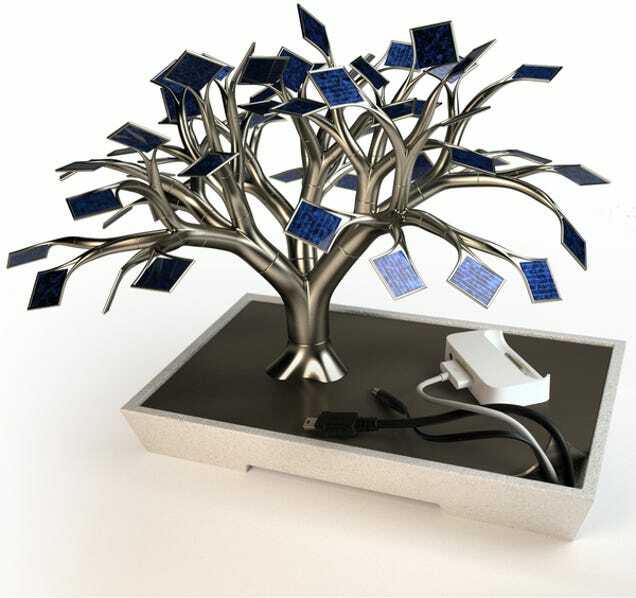 The photosynthesis solar charger is, in fact, one of the best-looking solar gadgets out there. If you are looking for a DIY solar panel project, this might be the one you’re looking for. Find out how to make these solar panels from our blog. This solar-powered boat can give you an eco-friendly ocean cruise. Find out more about it here! Want to bake outdoors? That may sound a bit impossible before, but now you can. Read more here. Forgot your charger? No problem! You can do your office tasks without worrying your laptop might run out of juice. Check it out here. 46. Make Your Own Solar Panels! You make your own solar panels with our free tutorial here. We’ve all been out and about when our phone battery has died and we’ve had nowhere to charge it. This handy device uses solar panels to absorb solar radiation and store electricity so you can plug things in on the go. Another device that’s all about convenience, this portable cooker uses solar energy to reach temperatures of up to 370°C to cook whatever you want. Great for picnic lovers, it allows you to bake, fry and boil wherever you are. Surprisingly, a solar-powered wheelchair is cheaper than most of its electric counterparts. Additionally, it can go 10km to 12km on a charge, compared to the 7km of a fully-powered electric wheelchair. While it’s only a concept, the futuristic two-seater car uses nanotechnology that is maintained by hydrogen fuel cells, electric motors, inflatable organic body panels and of course, solar power! What better to use the sun for than to power an air-conditioning unit for when you just can’t take the heat? The unit uses a maximum of 500 watts, while a standard unit will use twice as much. In 2014, Coca-Cola installed the world’s first cold drink vending machine to run solely on solar energy. The solar-powered battery charges continually in day light and can operate for 3-5 days without the sun. In 2007, South Africa’s NEDBank created the world’s first solar-powered billboard. What’s more, the power generated from it was used to power the kitchen of a local school—helping to feed 1100 children. The world’s first solar and wind powered ferries were introduced in 2006 in San Francisco. The Hornblower Hybrid boasts a 45-foot high retractable solar panel-covered wing which can generate 20 kilowatts of electricity. Solar Ear’s hearing aid batteries offer hearing-impaired people in developing countries an alternative to costly batteries. The devices last for 2-3 years and can be used in 80% of hearing aids, with charging done via the sun, light, or a phone plug. 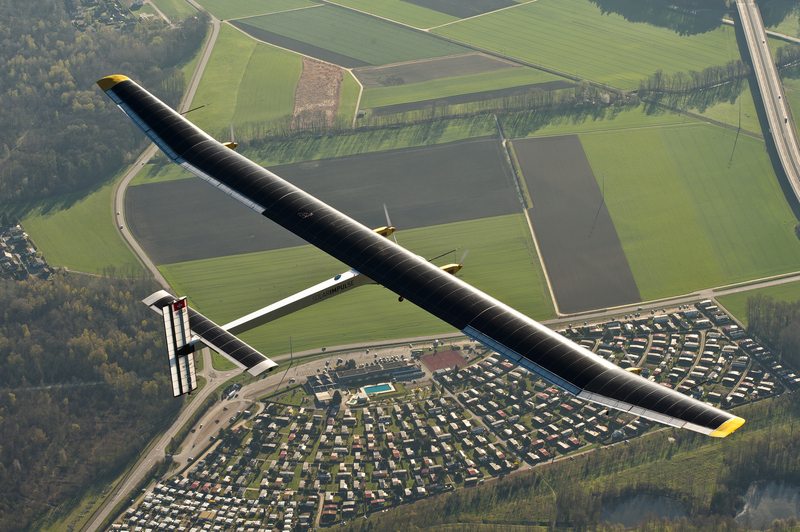 In 2011, the Solar Impulse made its first international flight, between France and Belgium. It became the first aircraft to fly without fuel in both the day and night, while carrying passengers, and is part way through a round the world trip. 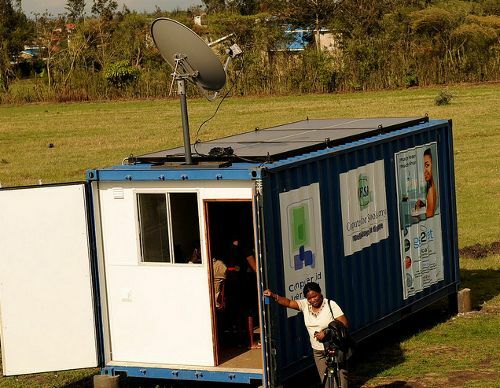 The ZubaBox is a mobile, solar-powered internet cafe which aims to provide computing solutions to rural areas or disaster zones in Africa and was first deployed in Zambia. While Solar Roadways® aren’t in use yet, the premise uses specially engineered solar panels, that can be walked and driven on, along with LED lights to produce road lines and signage without using paint. Their heating components also block snow and ice buildup on the road. In 2015, teenagers in Seattle created small solar-powered homes for the local homeless community. A solar power hub allows individuals to access lighting and warm water at night, while there are also composting toilets and a kitchen area. 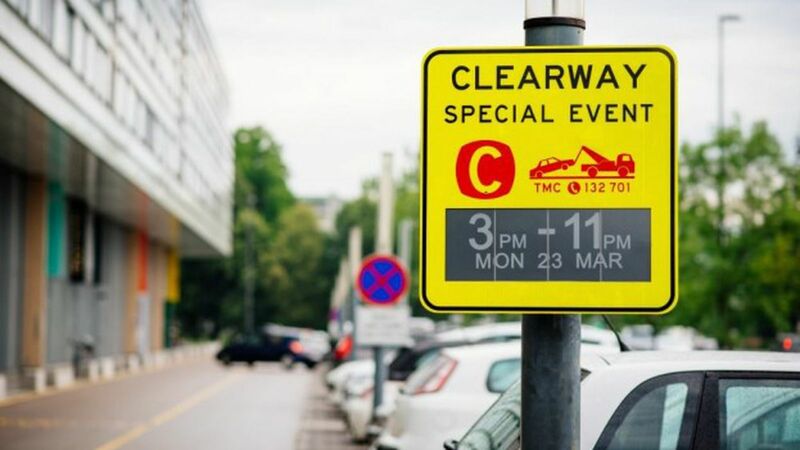 Areas in Australia now use ‘electronic ink’ signs which are traffic signs that use similar technology to e-readers, but are solar-powered. They can be updated in an instant to reflect traffic changes and use zero energy when static. Want to take it off the grid? Here’s your ultimate guide to DIY off-grid solar power from TinHatRanch! Such amazing solar powered inventions! I’m blown away by the level of ingenuity and engineering that must have gone into creating these projects. I included the tutorial of some of them so you can make them yourself if so desired. Know other solar-powered inventions that we didn’t include on this list? Share your thoughts with us in the comment section below! Sir or Madam: A number of these products are sheer genius and I am grateful for your providing the information. However, since I desperately attempt to avoid involvement with venues like Facebook whenever possible, there seems to be no way to determine where to find these products. Is there some way that you could provide me with a source for these products? Joe, the links are included with each item! 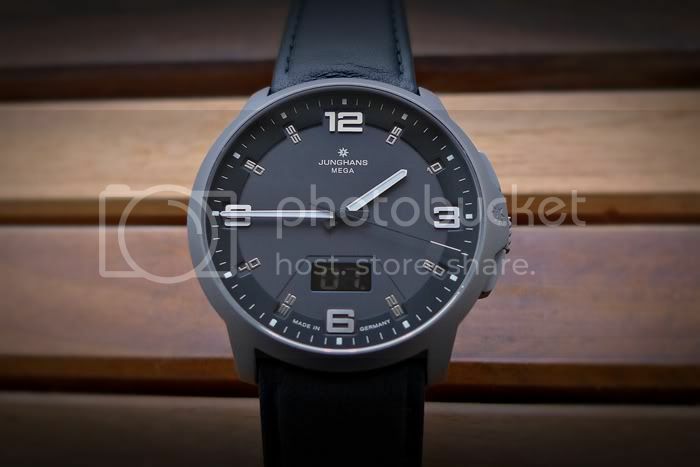 Feel free to click through any underlined words in the post to see the item’s source. Mind-blowing ideas that CAN catch on – if folks will only want to make use of FREE Energy. Not all are useful for all people – but I’m SURE that some of them will “inspire” almost ANYONE. I AM COMMITTED TO MAKE USE OF MORE THAN ONE OF THESE IN THE NEXT 6-MONTHS!